Even though Chinese firms are tackling regulation challenges, the Chinese games market is still the largest in the world and only due to increase. China’s Game Publishing Committee and Gamma Data have recently released the “China Game Industry Report from January to June 2018”, a comprehensive report on the state of the Chinese game market. The report offers a detailed analysis of China’s $15 billion (105 billion yuan) strong games industry, from market segments to future trends. We have dug through the data to bring you the top five takeaways and what they mean for the Chinese mobile games market. A third of the Chinese population is playing mobile games. At 460 million players, there are more Chinese people playing games on their mobile screens than the entire population of the United States of America and Japan combined. 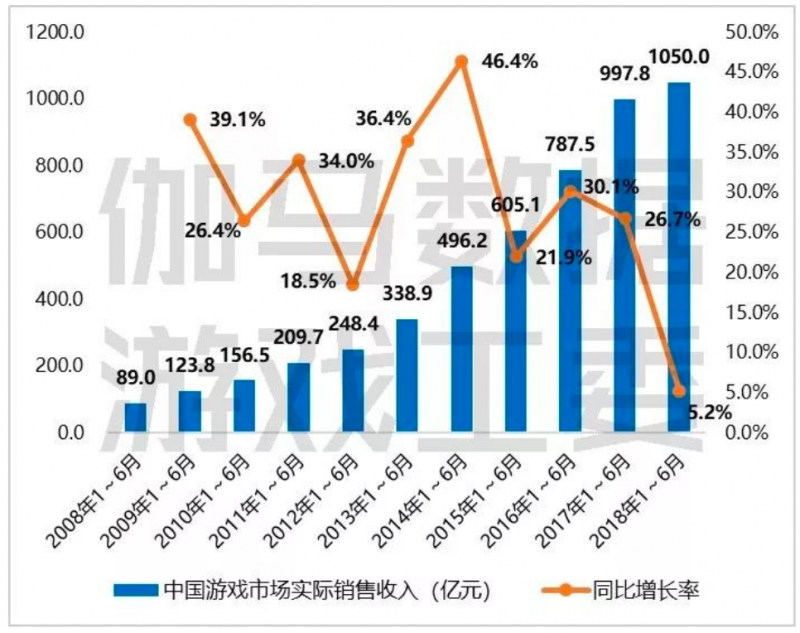 With such a high player base it comes to no surprise that mobile games make up 60.4% of total games sales, raking in $9.3 billion for the Chinese games market in the first half of this year alone. Client games (meaning PC and console games) make up 30% of the market, and web games account for 6.9% of the market. While client games are plateauing and web games are shrinking, the figures for mobile games sales are bound to increase. The mobile games market is currently driving the growth of the overall Chinese games market at a rate of 12.9%. The report observes that while the number of players has reached a saturation point, spending is likely to keep growing as more millennials gain access to disposable income. The esports scene in China is monumental, bringing in $6 billion to the Chinese economy from January to June 2018 alone. The report revealed that over half of esports revenue comes from the mobile esports market with sales reaching $3.3 billion in the first half of this year. 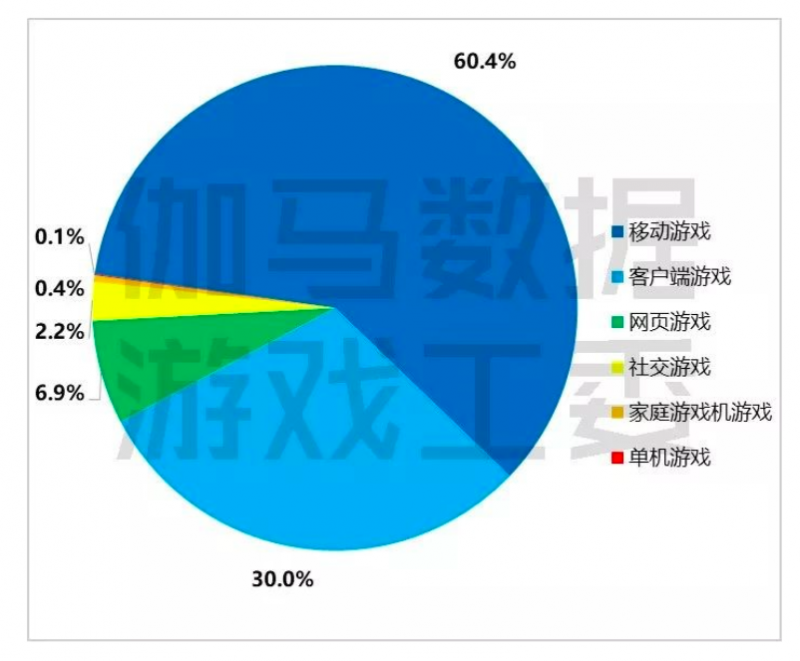 Mobile esports is the fastest growing market in the Chinese games industry with a breakneck rate of 27.9%, 11.8 percentage points faster than the overall competitive gaming industry. MOBA (Multiplayer Online Battle Arena) games make up half of the mobile esports revenue. Arena of Valor, known as Honor of Kings in China, is the most popular at 200 million players. Published by Tencent, this 5v5 mobile game is the highest grossing Chinese mobile game and 7th overseas. Tencent and Netease dominate the mobile games market in China with all 10 of the top 10 highest grossing Chinese mobile games belonging to either of these giants. Smaller games companies, such as FunPlus and Elex, are looking to publish their games overseas where they can compete in a more diverse market. The report highlights the gradual increase of Chinese games in overseas markets where new and existing brands are gaining coverage. Chinese games make $4.63 billion in revenue overseas, and it is increasing at a rate of 16%. The report also brings to light that while RPGs and classic Chinese novels are the bread and butter of the Chinese market, strategy and Western subjects make for a better hit overseas. China’s games industry has increased by 5.2% this year, down from 26.7% the year before. Niko Partners speculates this might be due to China’s temporary approval freeze which started in March 2018 and is due to end in September 2018. Along with changes to the approval process, the Ministry of Education has issued recommendations around limiting the amount of time minors can play games online in an attempt to reduce myopia (short-sightedness). As a result, Tencent has limited the time children can play online games to two hours a day for under 17 year-olds and one hour a day for children under 12. The effects of these regulations are yet to be seen. Niko Partners informs it is likely to have a higher impact on small and medium companies as Tencent and Netease have the resources and funds to implement such demands. Female consumers spent $3.5 billion in the first half of 2018. With a 13.5% growth from last year and predicted to keep growing, the report underlines that female consumers have contributed to the growth of China’s game market. Demand from this consumer group continues to intensify; however, the report states that the potential of this market has not yet been fully realised. 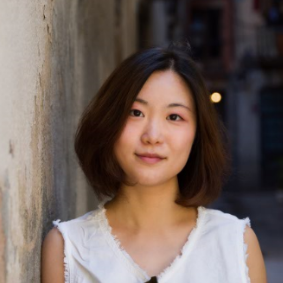 Kern Zhang, head of new business at mobile analytics firm App Annie, said, “Mobile games are notably appealing to women.” Adding that the rising power of female gamers will create many market opportunities in the future. Even though Chinese firms are tackling regulation challenges, the Chinese games market is still the largest in the world and only due to increase. The growth of the games market is driven overwhelmingly by mobile with mobile esports and female consumers spearheading its success.